Over the Summer we will be rolling out a few changes to HubScore and Hubber Score that might have an effect on your scores. Fawntia, our amazing engineer at HubPages, has been working hard to make small changes to the complex calculation that is HubScore and Hubber Score. Since the inception of the Quality Assessment Process (QAP), we have been gathering a monumental amount of data on Hubs and their quality. The new HubScore and Hubber Score will continue to use this data to give more accurate scores. While there are still other factors that will affect your HubScore and Hubber Score, the best way to improve your scores is to publish high-quality Hubs. One other change that you may notice, is that HubScore will not be shown until we have collected some quality data. In the interim, the time between when you publish your Hub and when it goes through the QAP, you will see a question mark instead of a score. Once your Hub has gone through our quality measures, your HubScore will be available. Ta-da! For the time being, the HubScores of your Hubs will only be visible on your Hub Statistics page. Other authors will not see them. With the improvement of HubScore, sorting your Hubs by Hubscore on your My Account, Hub Statistics Page may be another way to prioritize those Hubs that you update and improve. Summertime is the perfect time to do a few updates to your work (especially those holiday Hubs! ); add a photo, additional relevant text, a video, or a table to help your Hubs stand above the rest of the competition! For more information on HubScore and Hubber Score, check out our Learning Center guide. Cheers! ← Update to the Quality Assessment Process: Improving the quality of ALL Hubs! The link at the bottom of the page goes to Stella – you need another Gal – Moana – lost of moaning about that little babe! Hiding the hubscore from everyone but the author is a good first step. Now hide the hubberscore too and you’ll avoid a lot more copying by other members. Too many newbies and oldies think that a hub/hubber with a high score indicates $$$-making topics and the temptation to steal ideas is too strong. I would still like to know why my highest scoring hub is one that was unpublished a few weeks ago becuase it was continually getting “unfeatured”. Really now, this is more of an insult than anything else. It sounds like your Hub is probably not Featured for traffic reasons rather than quality. Hubs can become un-Featured for one of two reasons: either for quality issues or because they aren’t getting sufficient traffic. 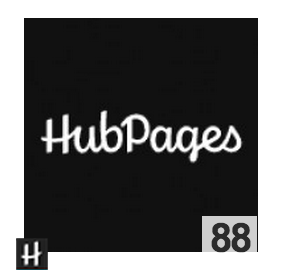 So, just because it is not Featured does not mean it is bad or that HubPages thinks it is bad. Hope that clears things up a little! I looked on the inside HubScore Learning Center guide articles are written very well, me and my friends are full of praise. My hub profile just got affected by this update, i was at about 82 points and now it turned down to 78. I hope i will again get my old score back.